Can you biohack your way to better health? From butter coffee to earthing, biohacking techniques are making major waves in the world of wellness. According to a fast-growing legion of health enthusiasts, “hacking” your own biology can help you to feel great in the everyday and fend off disease in the long-term. Many biohacking techniques are common-sense strategies for healthy living. For instance, biohackers often recommend fine-tuning your diet by loading up on vegetables, steering clear of sugar, and drinking plenty of natural spring water. Mind/body practices like meditation and deep breathing are also regarded as biohacking techniques, mostly due to their ability to counteract the negative effects of stress. In addition, biohackers highlight healthy-living tactics like avoiding caffeine consumption after two in the afternoon in order to achieve sounder sleep, as well as getting a safe amount of sun exposure each day to rev up the body’s production of vitamin D.
While no biohacking technique should replace standard care for a chronic health problem, experimenting with such techniques may give you a deeper understanding of the habits and behaviors that help your body to function at its best. Here’s a look at several common biohacking techniques and their possible benefits for your health. The technique: Taking cold showers is a do-it-yourself form of cryotherapy (i.e. the therapeutic use of cold). Many biohackers also tout a treatment known as whole body cryotherapy, which involves entering a specialized chamber that exposes the body to temperatures as low as negative 300 degrees Fahrenheit. The health claims: It’s said that cryotherapy can support weight loss, boost athletic endurance, alleviate chronic pain, reduce inflammation, improve mood, promote healthy sleep, and strengthen the immune system. The science: Findings from small studies indicate that taking cold showers may help relieve some symptoms of depression. Additionally, a study published in journal PLoS One in 2016 found that people who followed a shower regimen based on alternating hot and cold temperatures had a significant decrease in sickness-related absence from work. How to stay safe: Since exposure to cold constricts the blood vessels, it’s crucial to avoid cold showers if you have conditions like high blood pressure. The technique: A health ritual practiced for thousands of years, sauna bathing raises skin temperature and, in turn, induces sweating. While many people use saunas simply for relaxation, biohackers suggest that frequent sauna bathing can produce a variety of positive changes in the body. The health claims: It’s said that saunas can serve as a detox aid, as well as enhance heart health, lift your energy levels, promote muscle growth, and even improve brain function. The science: There’s some evidence that sauna therapy may aid in the treatment of conditions like high blood pressure, chronic fatigue syndrome, and chronic pain, according to a report published in Alternative Medicine Review in 2011. However, more research is needed to confirm these findings. How to stay safe: Spending about 15 minutes in a sauna should be safe for most healthy adults. To avoid dehydration, drink at least two glasses of cold water right after you get out of the sauna. The technique: A dietary approach that’s gained popularity in recent years, intermittent fasting involves continually cycling between periods of fasting and non-fasting. Fasting periods typically last anywhere from 16 hours to 24 hours. The health claims: Not only used for weight loss, intermittent fasting is purported to improve insulin sensitivity, build muscle, slow up the aging process, fight oxidative stress, and keep cholesterol in check. Some biohackers claim that intermittent fasting can also protect against major diseases like cancer. The science: For a report published in Nutrition Review in 2015, scientists sized up a number of previously published studies and found some evidence that intermittent fasting may reduce body weight, body fat, and total cholesterol. It should be noted that most of the studies focused on short-term intermittent fasting, and that research on the long-term effects of intermittent fasting is lacking. How to stay safe: As with any diet that calls for a significant change to your usual eating patterns, it’s important to talk to your doctor before you try intermittent fasting. There’s some concern that intermittent fasting may cause adverse effects like sleep disruption and disturbance in blood sugar regulation. The technique: Practicing self-massage with a foam roller is popular among biohackers as a means of stimulating the body’s trigger points. Found in the skeletal muscle, trigger points typically cause pain when they’re compressed. Biohackers sometimes incorporate foam rolling into their workouts in order to prevent injury. The health claims: Foam rolling is often recommended as a way to offset the harmful effects of sitting down all day. Biohackers argue that stimulating your trigger points through foam rolling can ease the stress on your joints, boost strength and flexibility, increase circulation, and stave off chronic pain (including low back pain and neck pain). 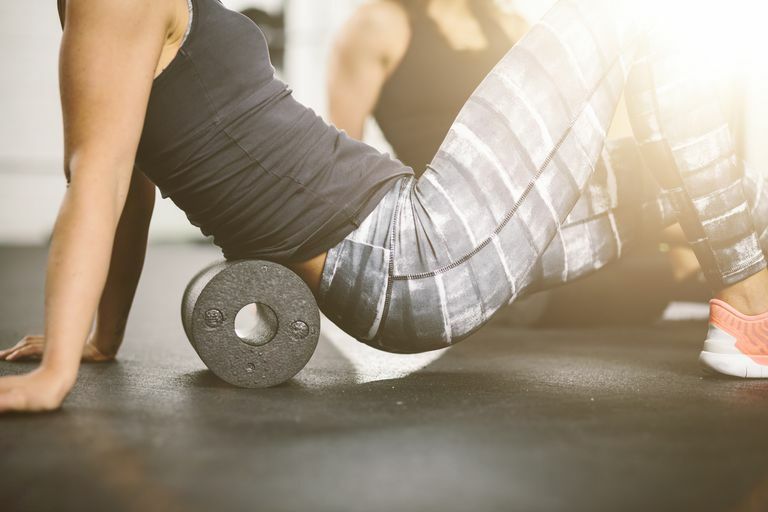 The science: There’s currently a lack of research on foam rolling, but several small studies have shown that trigger point therapy may aid in the treatment of conditions like tension headache, temporomandibular pain (i.e., TMJ syndrome), and osteoarthritis. How to stay safe: Although self-massage is generally considered safe, it can aggravate existing injuries and/or worsen chronic pain if not performed properly. If you’re dealing with chronic pain or a recent injury, consult your physician before you try foam rolling. Buijze GA, Sierevelt IN, van der Heijden BC, Dijkgraaf MG, Frings-Dresen MH. The Effect of Cold Showering on Health and Work: A Randomized Controlled Trial. PLoS One. 2016 Sep 15;11(9):e0161749. Crinnion WJ. Sauna as a valuable clinical tool for cardiovascular, autoimmune, toxicant- induced and other chronic health problems. Altern Med Rev. 2011 Sep;16(3):215-25. Tinsley GM, La Bounty PM. Effects of intermittent fasting on body composition and clinical health markers in humans. Nutr Rev. 2015 Oct;73(10):661-74. Wegman MP, Guo MH, Bennion DM, et al. Practicality of intermittent fasting in humans and its effect on oxidative stress and genes related to aging and metabolism. Rejuvenation Res. 2015 Apr;18(2):162-72. Can Muira Puama Boost Your Libido? Can Guarana Boost Your Energy? Are Phytoestrogens Good for Your Health?